Founded in 1982 with the main office in Houston, Texas, we specialize in selling and servicing printers and printer products to corporate and industrial companies nationwide. Infotec understands the importance of keeping your equipment operating, so our mission is to supply our customers with quality service, competitive pricing, and professional technical support. We take pride in the personal attention given to our customers from the time of receiving a call to the completion of an on-site service or the prompt delivery of a product. It is our goal to earn your confidence and trust that will assure you of always receiving the most appropriate solutions to your most challenging problems. Looking for a printer...need toner or ribbons...or a part? Infotec buys laser, serial and line printers direct from the top leading manufacturers and sells them to customers at exceptionally competitive pricing. We offer consumables at competitive pricing on both new and remanufactured laser products, OEM and economically priced compatible ribbons and toners. We stock original equipment parts for most models, as well as successfully expediting them to our customers nationwide. Infotec offers nationwide on-site maintenance agreements for most printers. The agreement covers all parts, labor and travel for a fixed annual rate (which can be conveniently billed on a monthly, quarterly or annual basis). The standard service response time is half a day or less. We also offer individually designed maintenance agreements to fit your company's printer needs. We also offer nationwide on-site service for printer repair and preventative maintenance. We charge an hourly rate for labor, a flat fee for travel, plus additional cost for any parts that are required to complete the repair. Infotec has a depot repair service available as well. 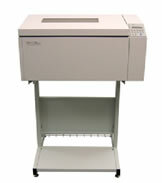 It is an economical alternative for non-critical printing applications. There is an hourly labor charge plus any required parts with an average of a 24 hour turnaround.